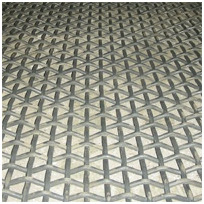 Articles: Vibrating Screen for LAKTAS WIRE MESH Pvt Ltd .
Laktas Wire Mesh Pvt Ltd Heavy Duty Wire Mesh Screens are specially manufactured for extremely rugged operating conditions in scalping, sizing or processing heavy abrasive materials such as ores, crushed stones, sand, gravel, metallic and non metallic minerals, coal slag etc. We manufacture the below screens in Spring Steel, Mild Steel, GI Wires and Stainless Steel to suite particular applications. Screens are woven accurately to any mesh size and of any diameter wire or rod to meet your specific requirement.